That time of the year has come! 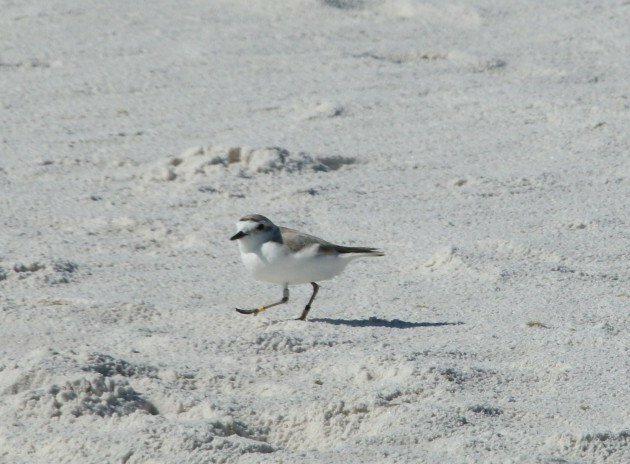 The magnificent, adorable, and dangerous breeding season for both shorebirds and seabirds along the Florida Panhandle. It’s during these months when I cringe anytime there’s a dog on the beach (though usually dogs aren’t allowed at all), for fear it might go after a fuzzy chick or adult sitting on eggs. I saw the first sign of the impending breeding season on the beach at Deer Lake State Park. The sun was bright, shedding light that almost blinded as it reflected off the white sand of the Gulf-facing shoreline. 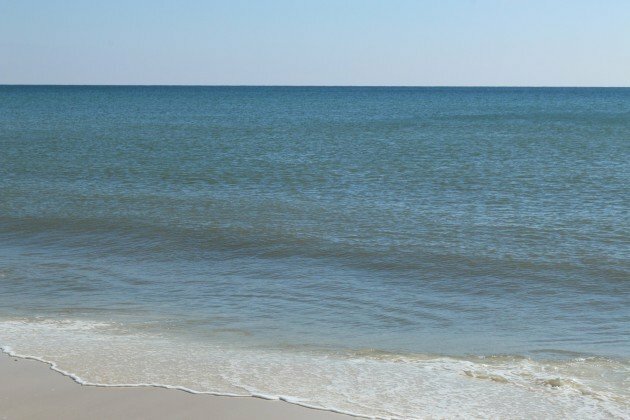 While I walked, parallel to the saltwater, I saw three Florida Department of Environmental Protection staff members putting up the “do not cross” signs that cordoned off dunes from trespassing by us humans. Soon, these ropes and signs will be on nearly all the breeding beaches, plus a few bridges and rooftops to boot. Many species that nest in the sands here are endangered, threatened, or have declining populations, their preferred habitats also preferred by humans for both recreation and development, and protections are critical for their survival. As I watched, a pair of Snowy Plovers darted out of a depression in the sand and raced towards the waves, as fast as their dark little legs could carry them. I wasn’t surprised to see the plovers – they were mere feet from prime nesting locations, and with a little luck they will lay eggs and hatch a few chicks into the world. In Florida, Snowy Plovers are listed as a threatened species, and with every fledged chick comes the hope of a rebounding population. For my part, I silently vow to be vigilant this season. Though it may be awkward, I will stop others from crossing over the roped-off habitat areas, I will call in banded birds when I spy them (like the one pictured above), and I will strive to educate those around me on the importance of these shorebirds. Three cheers for a successful spring and summer! Why is the Inca Jay not a Green Jay?